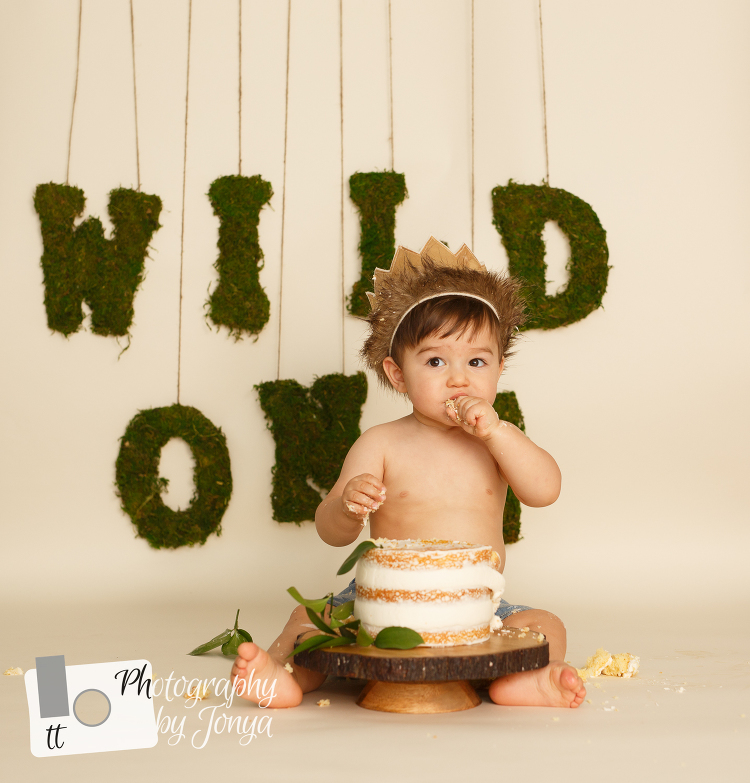 Cake smash sessions have been keeping the studio busy, sweet and sticky! It sure has been fun. Usually I find myself in a series of one gender of cake smash sessions then it fades into the other gender. In recent weeks I have had a great combination of boy or girl cake smash. This was a fund theme, that I have done before, but this “banner” isn’t like any other banner I have had during a cake smash session. This “Wild One” banner was very detailed and so hard to get positioned. The letters kept turning as soon as they would settle into position. Then they would twist. We tried to resolve the issue for at least a half hour before we figured it out. I was thrilled with it as soon as it started to work out. We were shocked at how long he kept his crown on. 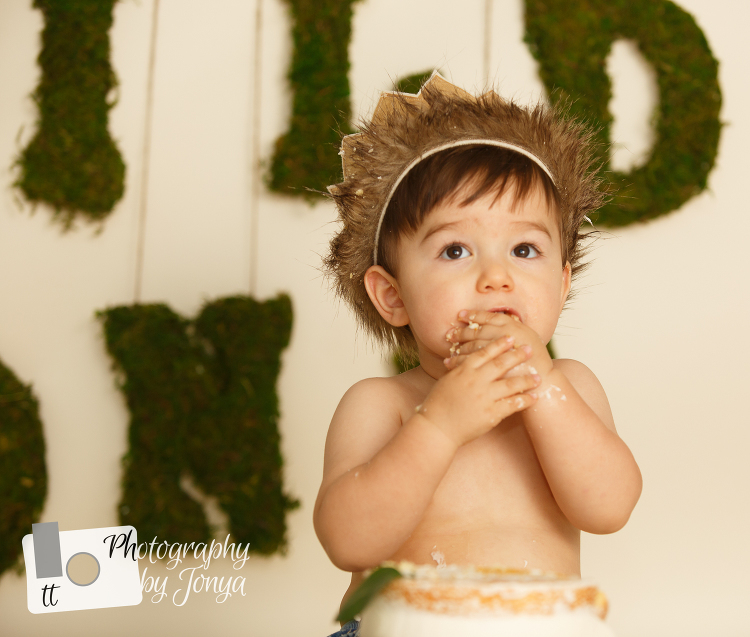 Mommy was not sure that he was going to keep the hat on at all… but he did for most of his session. In the photos below you can see what happened when he took his crown off after eating some cake. He got cake and frosting in his silky brown hair. At the start of the session, he was a little nervous about what to do. 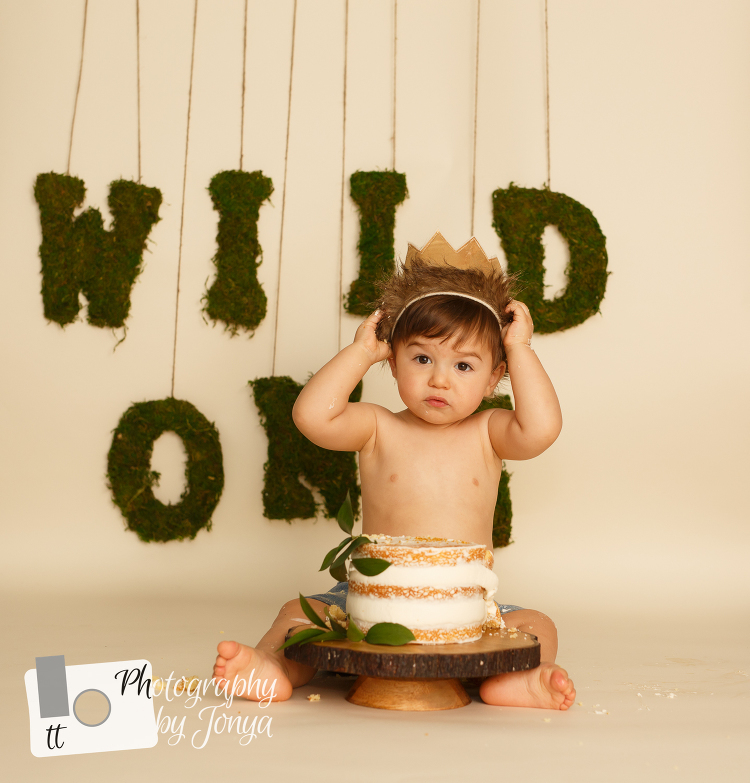 At times he was far more concerned with the crown but we were able to distract him enough with the cake that we made it through. This session was called a “Cake Splash”. The first birthday cake smash is followed by a fun bath… with a bubble machine and rubber ducks. You could tell that he enjoyed splashing around in the tub. Look at those dimples!!!! And those cute teeth!